At Plus Security we pride ourselves on providing our customers with a high level of customer service. Our service team are on call 24/7 to ensure that your enquiries are dealt with in a timely and effective fashion. Ensuring your business premises are checked regularly by a mobile security officer can often be enough to keep your business premises safe and your costs down. Plus Security’s mobile patrol service is ideal for situations where a constant presence is not practical or simply just too expensive. With over 3000 security guards nationwide, we provide a wide range of professional security services in Manchester, London, Glasgow and Birmingham. Securing financial capabilities up to £2.4 million with RBS means that you can be confident that no job is too big for Plus Security. 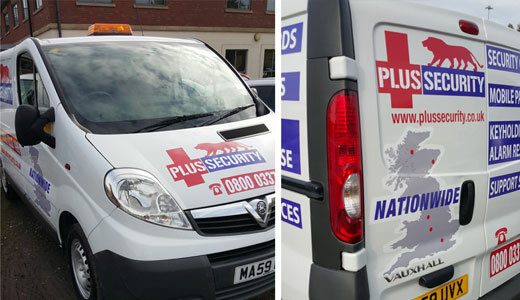 With our professional, specialist security guards working nationwide, you can be sure that your companies security concerns are in the right hands.